Remember the movie Inception? If you do, images of buildings bending and distorting probably come to mind. 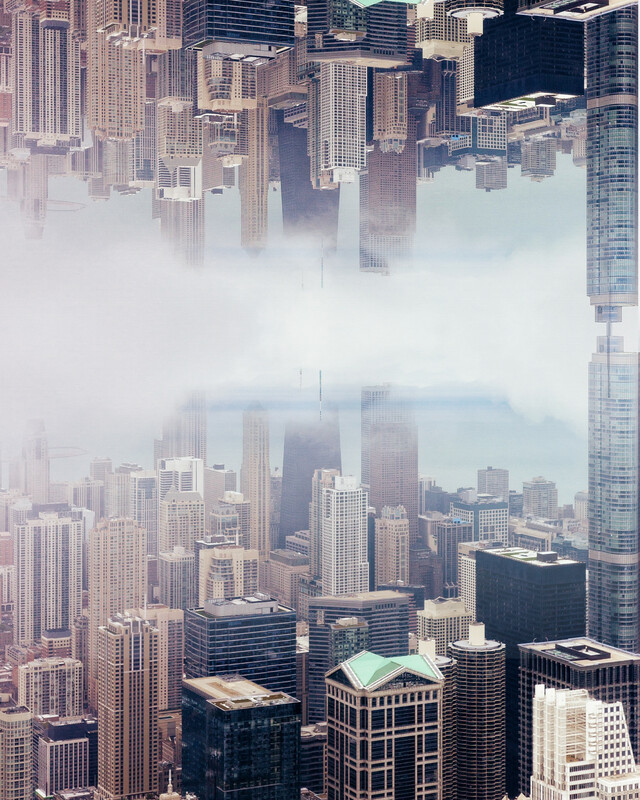 In this tutorial, we're going to do something similar and have a city skyline reflecting itself in the clouds. First, open the photo inside Polarr. Then, go to the overlay tool and import the first photo that you opened in Polarr. Add it to the image as a custom layer. Notice that when you add a custom layer, the default blending mode is "Screen". We don't want that for this effect. Switch the blending mode to "Normal" and it'll be an exact copy of the image beneath it. Now, flip the layer we added vertically. This turns the skyline upside down. Click the eraser icon on the side and then change to the gradient icon. Three lines will appear in the screen. And only the bottom half shows the effect of the background image now. You can adjust the position of these three lines to create a different look. You can also rearrange the custom layer itself to make the photo look different. And that's it. Our edit is complete.